At a time when parents are putting students under extreme duress to qualify the engineering entrance exams, a new study has found that rising unemployment of professional engineering graduates. 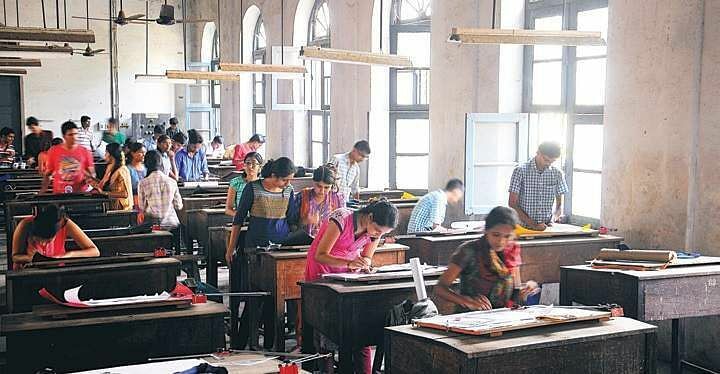 The study from among 2600 engineering graduates, by the All India Professional Congress- Kerala chapter, said the engineering graduates are finding it hard to get a job that does justice to their education qualification. The situation, if prolongs, will hurt the economy and the society in the coming years, said Sudheer M, secretary - AIPC, Kerala. As per the study, 25 per cent of the engineering graduates are unemployed; 66 per cent got only non-engineering jobs (esp. in recent years); 58 per cent is not feeling they are earning enough and only 50 per cent are passing the course. Sudheer pointed out that the situation is so bad that domestic maids in Kerala get a better salary than many entry-level engineers. The survey found that 80 per cent feel lack of industry connect is the biggest issue. Companies feel employability of our graduates is less than 20 per cent, and many want internships and interaction with industry while at the campus. "All India Professionals Congress (www.profcongress.com) doesn’t believe in blame games or allegations. instead it want to focus on eye openers so that we all can talk with some basic data in hand about any issue," said Sudheer, adding: "As an engineer who worked in 5 continents, I felt it’s the need of the hour that we consider education a serious factor in the country’s progress. This prompted me to conducted a study of engineering education to start with. In short, engineering education in India needs a massive overhaul to stay relevant and to provide jobs, he added. Mathew Kuzhalnadan, AIPC-Kerala's state president, said the Professional Congress wants to bring a new narrative in the public sphere, which will help the policymakers and educational experts to bring about a big change in our approach to the higher education. "If you look at the engineering education scenario, we can find that many colleges have shut down in the self-financing sector for want of students. Due to lack of job opportunities in the engineering sector, obviously, students are looking at other streams," he added.